I started my foray into the world of fundraising in advance of a trip to Tanzania in 2012. Blake and I were planning to climb Mt. Kilimanjaro and we decided to raise money for our son’s special needs school, Renfrew Education, in advance of the trip. 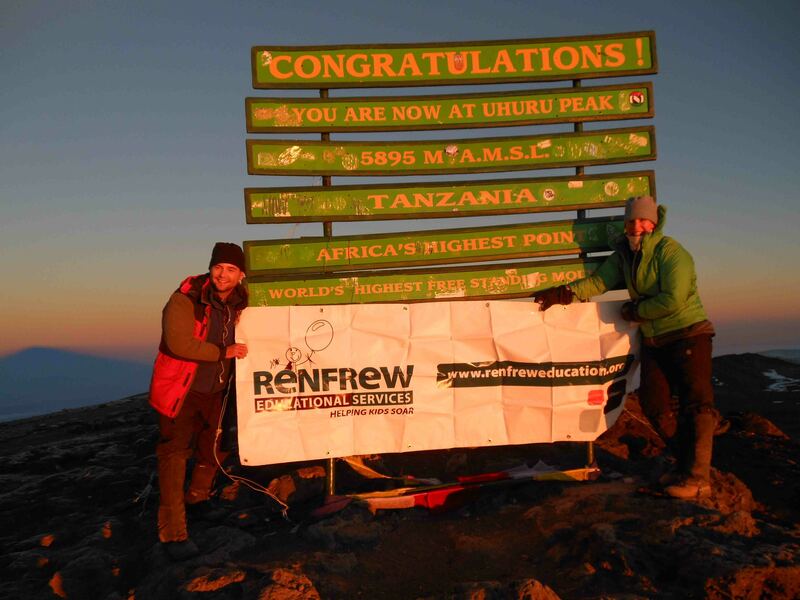 We summited Kili on Sept. 21, 2012 at 6:15 a.m., and got to hold up the Renfrew banner on the roof of Africa! We made it! Woot! It felt pretty awesome to unfurl this banner atop Kili. We ended up raising $7,595 for Bennett’s school, which felt pretty awesome. The original goal was to raise $5,895 — $1 for every metre of Kili, from sea level to the summit — but when we passed that target over the summer we aimed higher. The money raised went toward specialized services, equipment and toys for children attending the school. 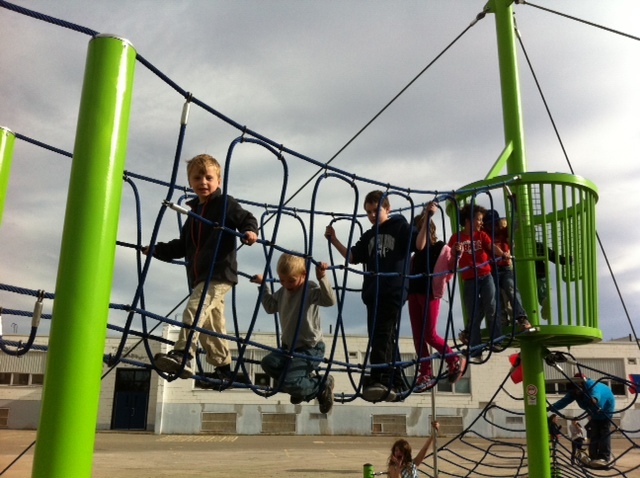 I was also part of a team that raised over $200,000 to build a new playground at my daughter’s Inglewood school. The project took two years from idea to completion (2011-2013) and involved a lot of donation wrangling (cash and in-kind), fundraising at smaller events such as the annual community Kitchen Party, and applying for appropriate grants. We also turned into a six-person PR team to raise awareness about the project in the community and through local media. The end result was an awesome new play park for the kids. Bennett leads the troop across the rope bridge at the new playground during the opening celebration party. Congrats Lisa and Blake on coming up with this great initiative. Enjoy the climb (urghh…) and your anniversary — I’m sure it’ll be one to remember. I’m sure Renfrew and Bennett will be proud of you and welcome the donations to support their programs. You are an inspiration. Congratulations on your success. Give your babes a hug for me. Merry Christmas love! Thanks Stacey 🙂 Hope you guys have a wonderful holiday.